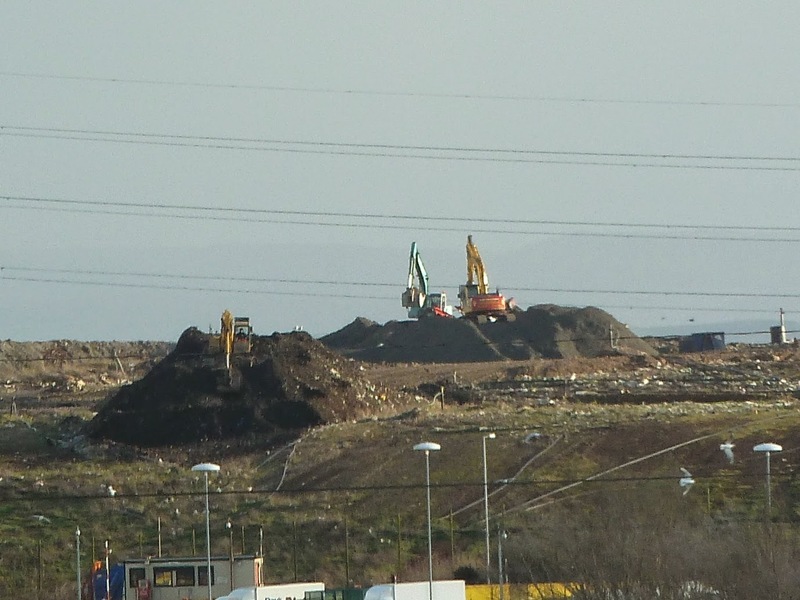 Cardiff Against The Incinerator - CATI were alerted over the growing hillock atop the landfill since early January, with excavators, dumper trucks and conveyors working it. The Council is now spreading hundreds of tonnes of incinerator grate-ash on the Lamby Way tip, even operating a conveyor in the open it appears, creating clouds of dust. Of course the Council claim no dust blows off-site, yet a Cardiff University study a few years ago found ultrafine dust from normal landfilled materials. They claim it's not toxic, but the Cardiff University study showed the ultrafine dust to be harmful to human cells. So CATI arranged a visit to the site, questioning the landfill manager and establishing this is bottom ash from Viridor’s. CATI’s delegation was taken up to see the operations on Wednesday 28th January. A large amount of metal is visible in the raw ash, from cans to large pieces from industry. This despite the requirement on Viridor to separate metal from the ash in their works. It’s a large operation – over 200 tonnes per day (10-20 lorry loads) of incinerator ash, still warm and steaming, are coming from Viridor. The peak day has been 600 tonnes. This is to continue for 9 months (at least), some 70 000 tonnes. Despite the requirement on Viridor to recycle all the ash, as construction fill or building materials, the Council is taking the ash and profitting by £150 000. 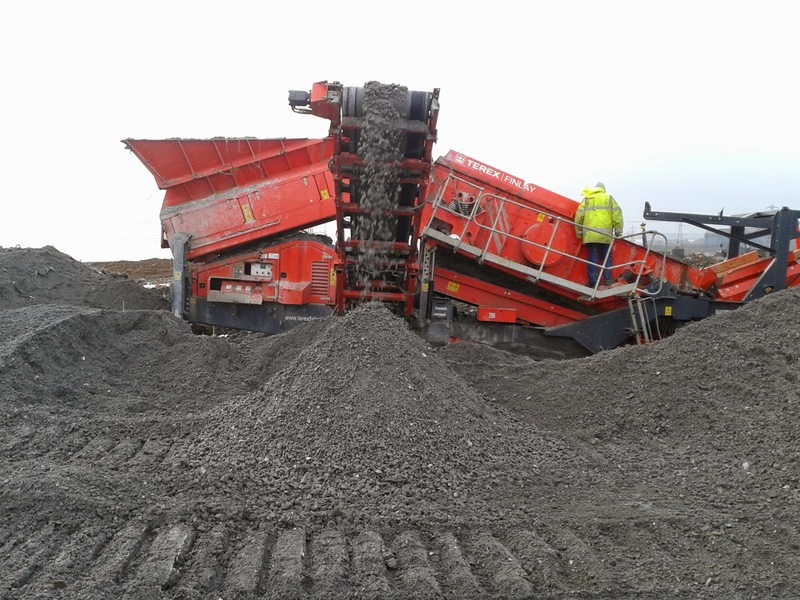 Cardiff has brought in a private company to screen metal from the ash; the shaker-riddle and conveyors appear to deal with with only part of the incoming tonnages. The Council say the metal screening is cost-free; sale of the dirty metal pays for the operation, the Council sharing in the profits. Lamby Way’s Manager, Paul McGrath, refused to let us take pictures or samples, despite their being a public body. CATI considers the Council has a duty to be open and has no right to control photos of what we the public can see. We’d challenge them – what have they to hide? If it’s the extent of their collusion with Viridor, then this deserves full exposure. In this case, we didn’t need to hire a drone to photograph it from above, as the operations can be seen through binoculars and a good camera can take pictures from outside the site.